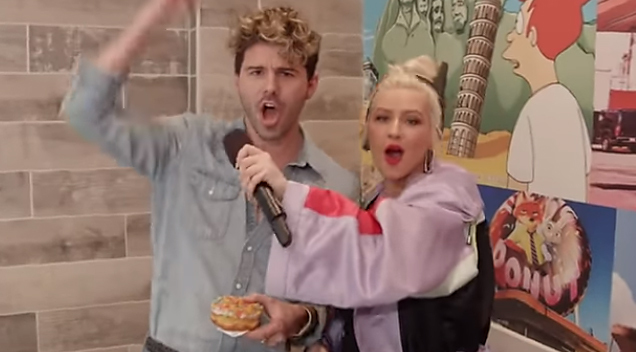 What would you do if Christina Aguilera just started singing to you personally? Jimmy Kimmel Live shoots their show on Hollywood Boulevard across the street from the Hollywood and Highland shopping center and they wanted to give people on Hollywood Boulevard visiting a real celebrity experience. So they set up hidden cameras at Randy’s Donuts and enlisted the help of a major music star to sing live over the speakers as the people waited for donuts. What happened next was EPIC.